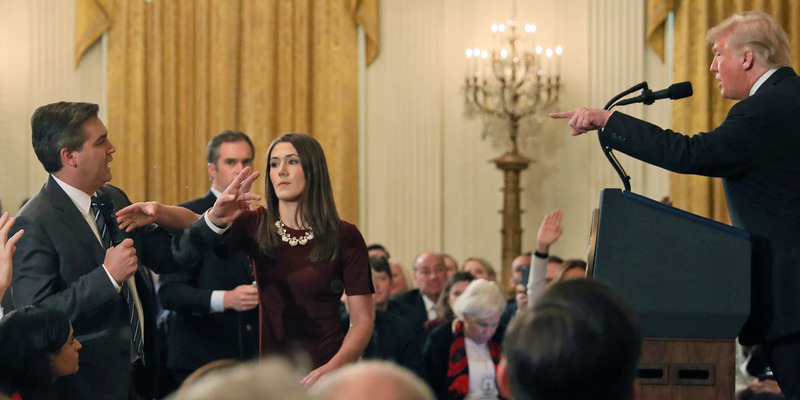 White House alleges that Acosta put his hands on her. suspending the journalist’s press pass. engage in tense exchanges in post-election news conference. making the moment appear more violent. on Twitter. ” Surely you don’t trust InfoWars…?” he asked. invasion, and asking questions about the Russia investigation.